Please note – Storage Heater grants are no longer available from happy Energy – please contact your own energy supplier to see if they may be able to assist. How do I get free Storage Heaters? Call 0800 0 246 234 Now! If you answer “YES” to the above, you could be eligible for one of our free storage grants! Are you on benefit? Call 0800 0 246 234 Now! If your home needs loft and cavity insulation we may also be able to offer this either free or at a reduced rate. *subject to survey, limited funding, terms and conditions. In some cases the boiler grants are not enough to make the works completely free and a contribution may be required. 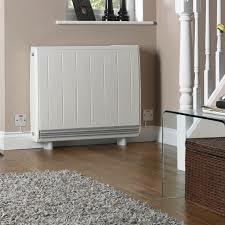 Depending on the size of your home, our free storage heater grants may mean that we can offer you a completely free storage, but in some cases, mainly in very small homes, the storage heater grants are not enough to make the work free and a contribution may be required, but we will confirm this with a free survey. If our storage heater grants do not cover all of the cost of the works, you can either pay the difference, consider a finance package which we can arrange (subject to credit status) or if your property is rented, you may be able to ask your landlord to contribute as it is their property that is benefiting from the upgrade.